On October 7, 2009 Bowen Collins & Associates moved to their new building location in Draper, Utah. The 26,000 square foot two story building is located at 154 East 14000 South. 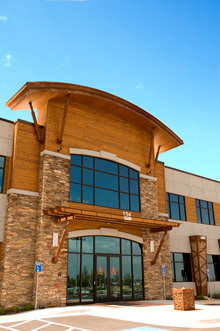 This unique building was constructed by Ralph Wadsworth Construction with interior design coordination from Bowen Collins & Associates.